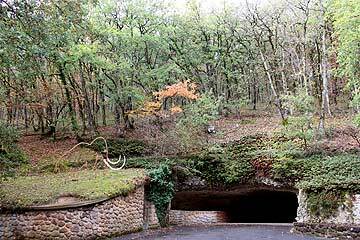 The Grotte de Rouffignac is home to over a hundred engravings and line-drawings of mammoths earning it the nickname of the "cave of a hundred mammoths". 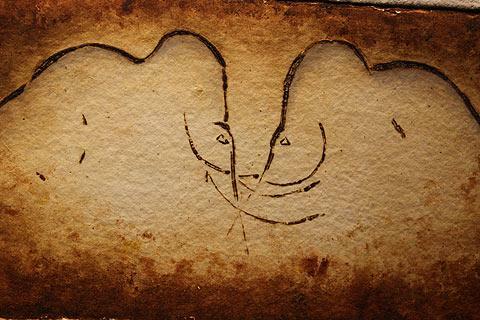 The images date back to the Upper Paleolithic period, about 13000 years BP. The cave is over eight kilometers long and is explored whilst riding on an electric train - making it a favourite with children, though be aware you are plunged into darkness at one point! There are over 250 images in total and 158 of these are mammoths. This is unusual because representations of mammoths are quite rare in prehistoric art. Bison and horses are much more common. 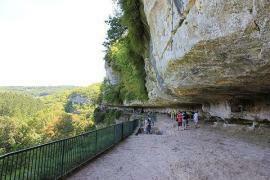 Indeed the Grotte de Rouffignac contains one third of all the prehistoric mammoth images in Western Europe! 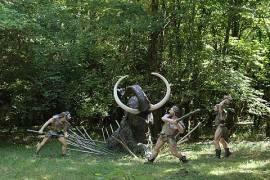 This is even more intriguing given that mammoth bones are rarely found in south-west France. The electric train stops at various points along the cave for visitors to get off and admire close up the drawings and engravings. The highlight is the "Great Ceiling" decorated with 65 animal figures. As well as mammoths there are horses, bison and ibex and even a rhinoceros, very rare in pre-historic art. Another highlight is the ten mammoths frieze, which as its name suggests is a line of ten mammoths. The 'statue' outside is a representation of one of the best individual engravings - that of an old mammoth with very long tusks. At various points in the cave there are marks made by bears scratching the walls indicating that this was a hibernation spot for the bears. Apparently at the end of hibernation the bears claws have lost their sharpness and so the bears use the cave walls to sharpen up their claws ready for hunting! 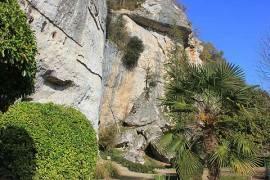 The cave is open every day from 13th April to 1st November. Adults 7.50 euros, children (6-12 years) 4,80 euros. During July and August demand is high and it is necessary to arrive at 9am to buy a ticket which will probably be for later in the day. You do not need to wait on site but need to return 10 minutes before your visit time. 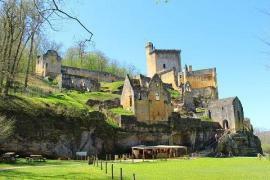 The Grotte de Rouffignac is close to the Vezere valley with its many pre-historic sights. 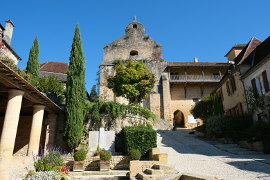 Go to Les Eyzies de Tayac and visit the pre-history museum to get an appreciation of the sights you will see in the area. 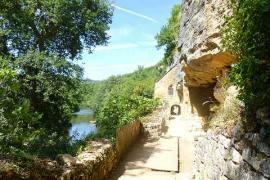 Nearby is the Roque Saint Christophe with evidence of habitation in its troglodyte caves from prehistoric man until Renaissance times. 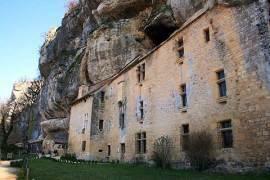 Where is the Grotte de Rouffignac? 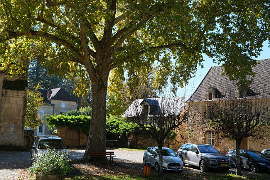 The Grotte is close to the village of Plazac to the north of Les Eyzies de Tayac and Le Bugue.